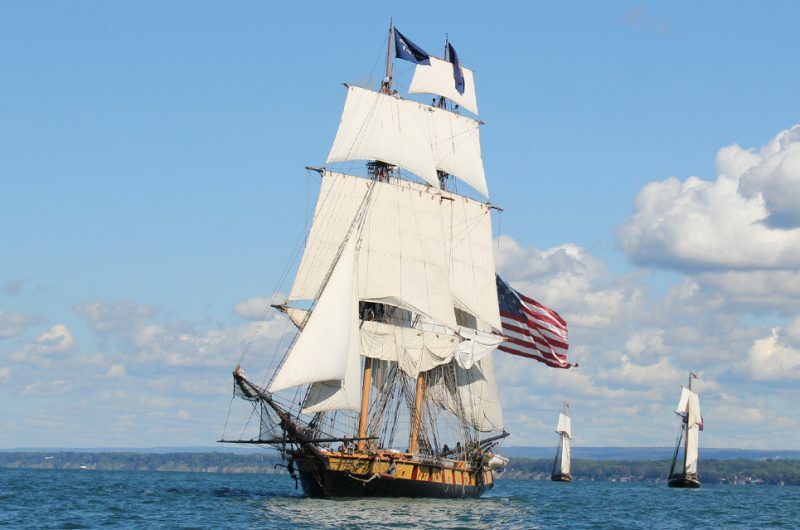 The U.S. Brig Niagara, home-ported in Erie, Pennsylvania, is a replica of the relief flagship of Commodore Oliver Hazard Perry. 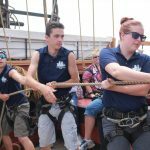 She is the embodiment of the dual mission of the Erie Maritime Museum and the Flagship Niagara League: she is both a historical artifact and a vehicle for sail training, an experiential learning process that preserves the skills of square-rig seamanship. 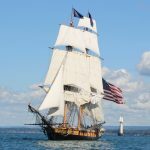 The U.S. Brig Niagara is a two-masted, square-rigged sailing vessel. 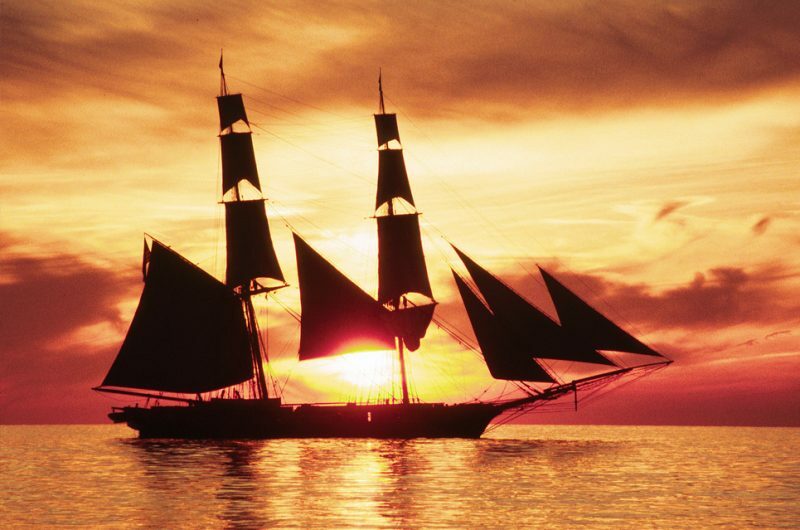 In 1813, she had a crew of 155 men and boys who manned her sails, 18 carronades and two long guns. The crew was organized into two watch sections (port and starboard) for routine duties while underway. 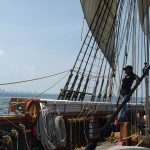 More experienced sailors were stationed aloft, while others under the direction of petty officers manned the rigging which controlled the sails from deck. In battle, men also manned the guns and carronades. Boys carried the black powder charges from the magazine to the guns. 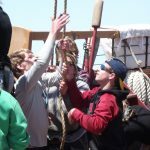 Marines and soldiers were assigned to the fighting tops on the masts where they could fire their muskets on the enemy ships. 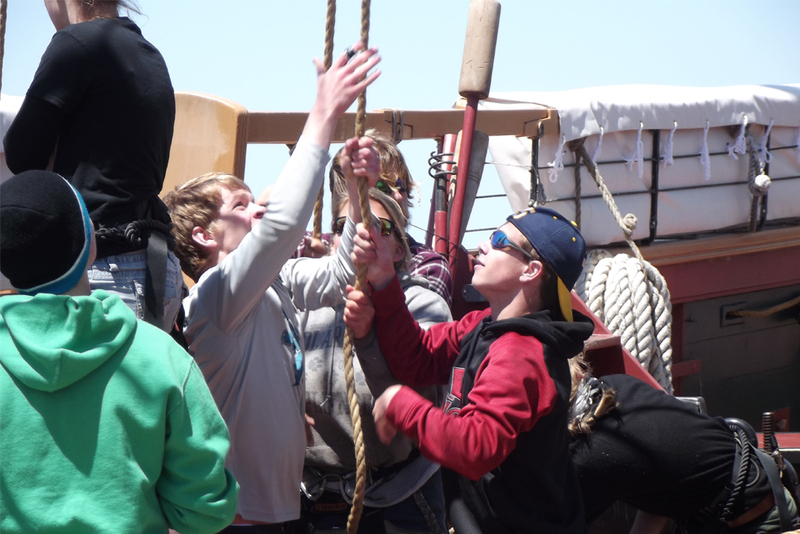 Officers directed setting sails, firing cannon, and manoeuvring the brig in response to orders from the captain. 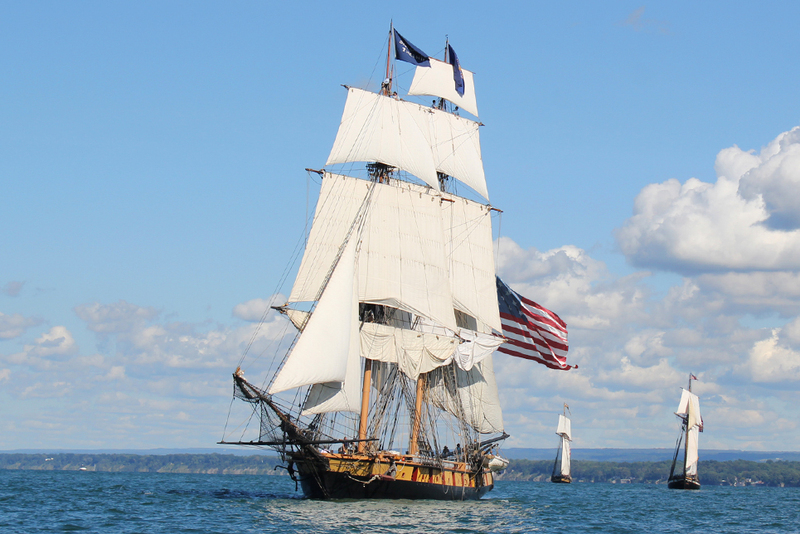 The current Niagara, the third reconstruction of the original vessel, was launched in Erie in 1988, the 175th anniversary of the Battle of Lake Erie. 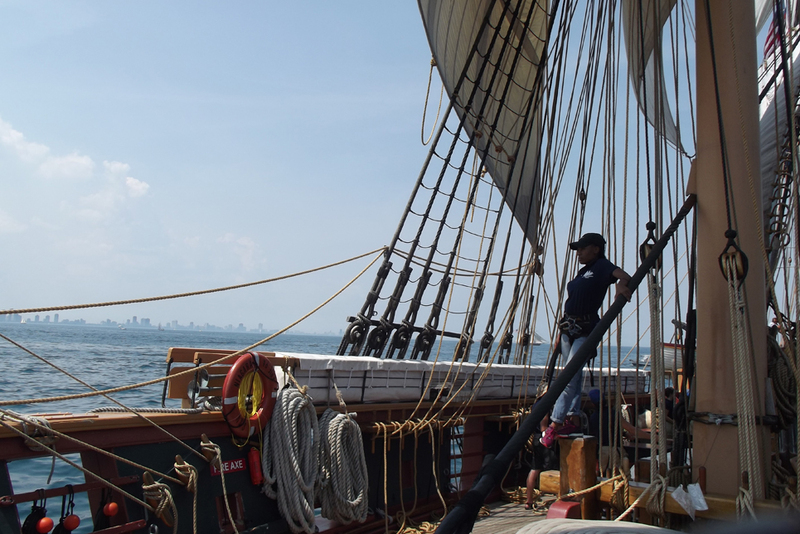 Niagara sails the Great Lakes, preserving and interpreting the story of the Battle of Lake Erie, and acting as an ambassador in her capacity as the flagship of the Commonwealth of Pennsylvania. 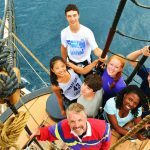 As a Sailing School Vessel, her crew of professionals and trainees actively preserve the skills of square-rig seamanship. A reconstructed war of 1812 warship, Niagara is a singularly complex machine. It represents one of the last and most refined expressions of a technology millennia in its evolution. The purpose of a ship is the practice of seamanship, the craft and the science of making a home and a living in a hostile element. 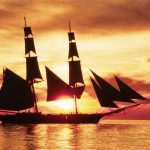 While it is no longer necessary for us to take to the sea in wooden sailing ships for the practice of war or trade or exploration, it remains necessary for us to, from time to time, take the measure of ourselves against the wilderness. And when we have arrived, we find the individuals who set out at the beginning have become family. 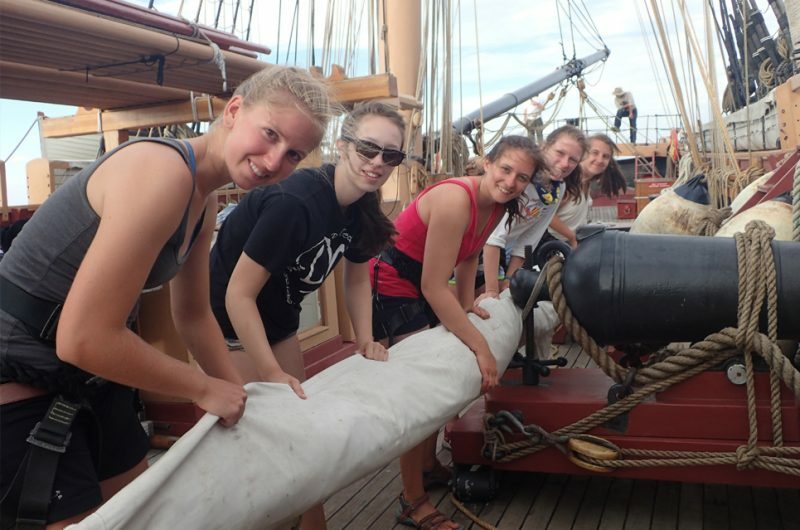 Trainees participate fully in all aspects of the life and work of the crew. 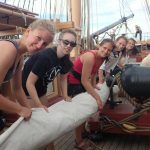 This work includes both the romantic and the commonplace: setting and taking in sail, washing dishes, painting and varnishing, giving deck tours, steering by compass in the gathering dawn, and charging along under a quartering breeze. Niagara does not take passengers – she makes mariners. Recipient of Tall Ships America's 2015 Sail Training Program of the Year award, the U.S. Brig Niagara operates as a Sailing School Vessel. While sailing Niagara can have a classroom component, most of our training is hands-on. 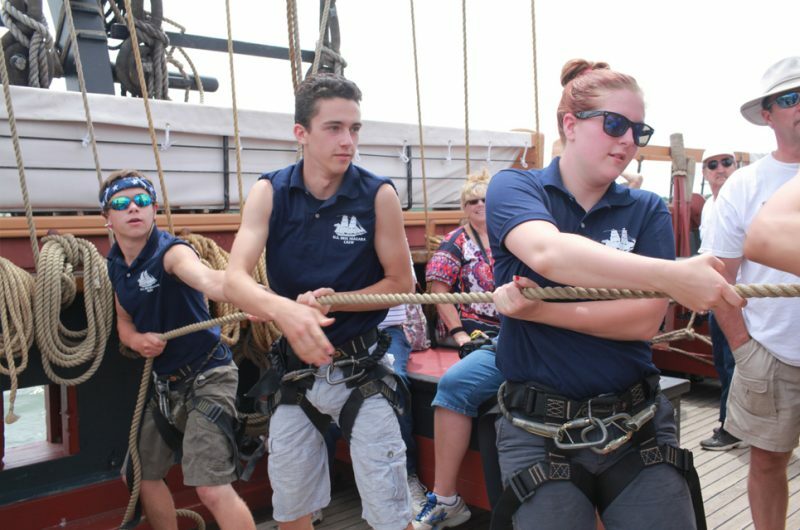 By becoming an active part of the crew, trainees learn the skills of traditional square-rig seamanship, through sailing, maintaining, and living on the ship. The 19th-century maritime environment is far enough removed from our own lives that simply living on board the ship, and helping her make her way from place to place, is an education in and of itself. By the end of two weeks, most trainees are comfortable operating in this new world, and can recognize that they have become a valued part of a close knit community. Niagara is neither simple nor luxurious – but that's what draws the crew together. A trainee berth includes room and board, whether the ship is underway or in port. Trainees sleep in hammocks and stow all their gear in one seabag each. The galley provides three meals a day, cooked on a wood-burning stove. 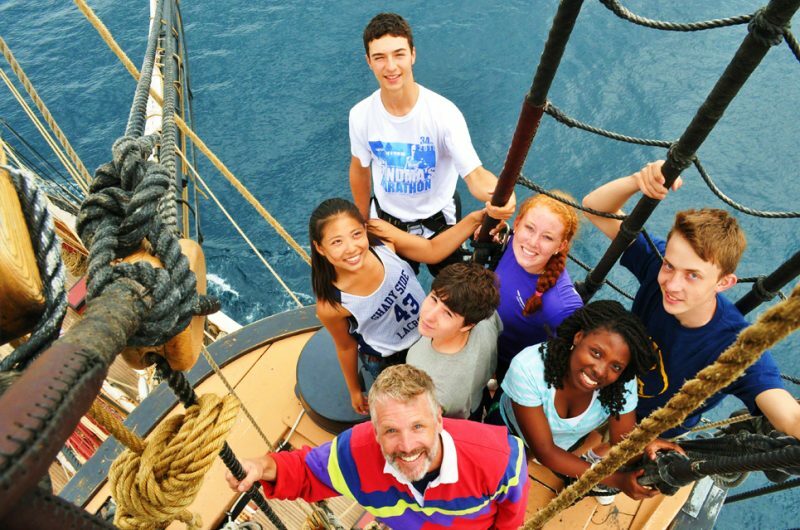 Niagara’s seamanship program is for healthy young people and adults, over aged 14. Passports are required on most voyages.